How can I manage my Company Account? How do I set up my Account Holders? This article explains how Company Account Holder can manage his users. Refer to this article if you are a System Administrator or Affiliate and you want to set up a Company account. If you have received a Company Account you will be able to use this account to manage your users. 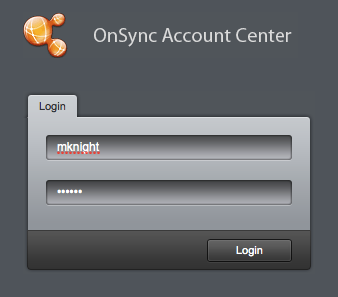 Log in at http://onsync.digitalsamba.com/admin with the credentials provided to you. You will be taken to a screen where you can see all the users in your Company. When you first log in, the only account you will see in the list is your own. You will see that your account is set to Role: "Company" in the Role Column. Click the add user button to create a new user. Fill in all the fields on the Profile and Account Details tabs. Make sure to set the user to Active on the Account Details tab. When you reach the Service Plans tab you will have the option to assign a Service Plan to this user. In this example, this Company Account has contracted 5 "HI-DEF 100" accounts and has not yet created any Account Holders. As you assign more Account Holders to this plan, the number of remaining plans will decrease. Similarly, deleting Account Holders will make the number increase. Click Save User and the user will appear in the list of your users. Note that the Role is set to Moderator. This means this user will be able to log in at http://onsync.digitalsamba.com/ but will not be able to administer accounts at http://onsync.digitalsamba.com/admin like your own user. You can use this interface to edit your users information, including name, email, password and also the limits associated with the account. Click the edit button by hovering over any user and clickng the edit icon. Navigate through the tabs to edit information. To edit limits associated with this Account's Service plan, navigate to the service plan tab. You will be able to increase or decrease any users limits associated to this service plan. Note that your Company Account may be limited in capacity, so raising the limits of an individual user may adversely affect the performance of your other users. Contact your System Administrator if you are unsure about this.